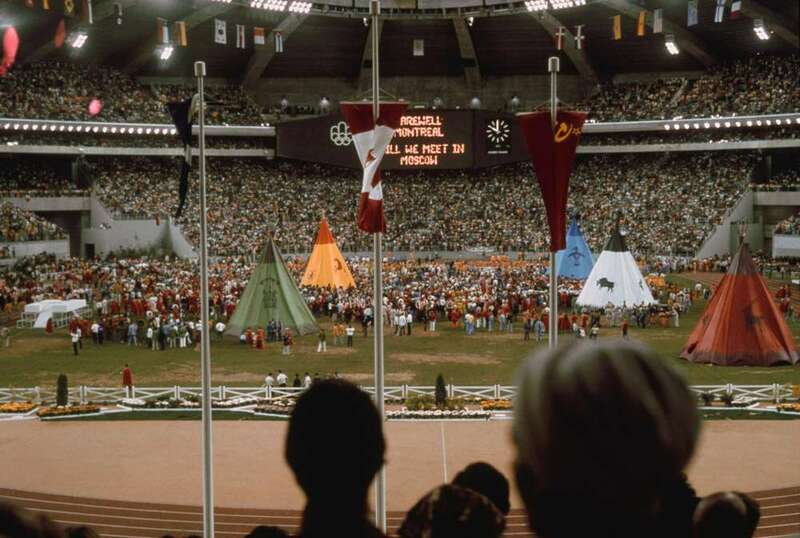 Forty years have passed since Montreal hosted the Olympics in the summer of 1976. 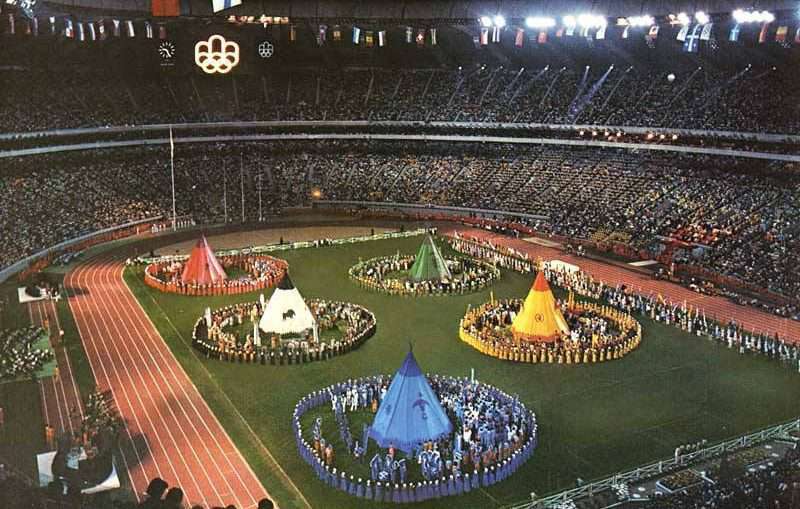 Over 6,000 athletes competed in 198 events spanning 21 sports. 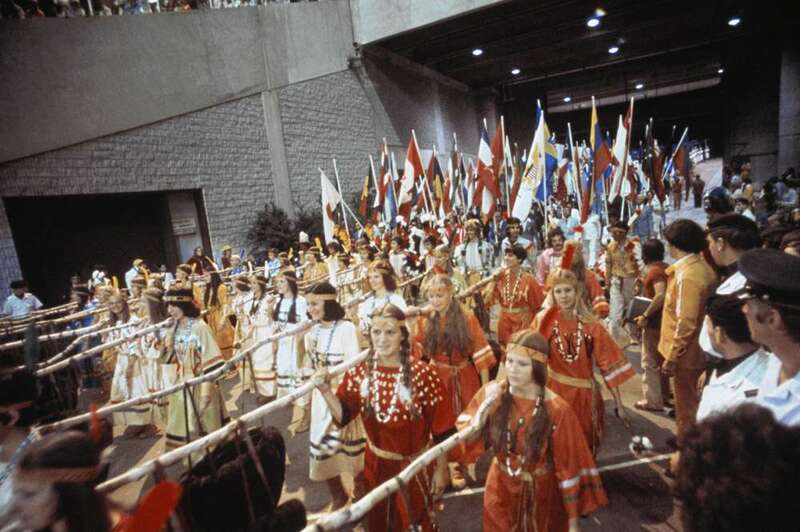 As a tribute to Indigenous people in Canada, the August 1 closing ceremonies included approximately 200 Indigenous dancers from nine different First Nations. 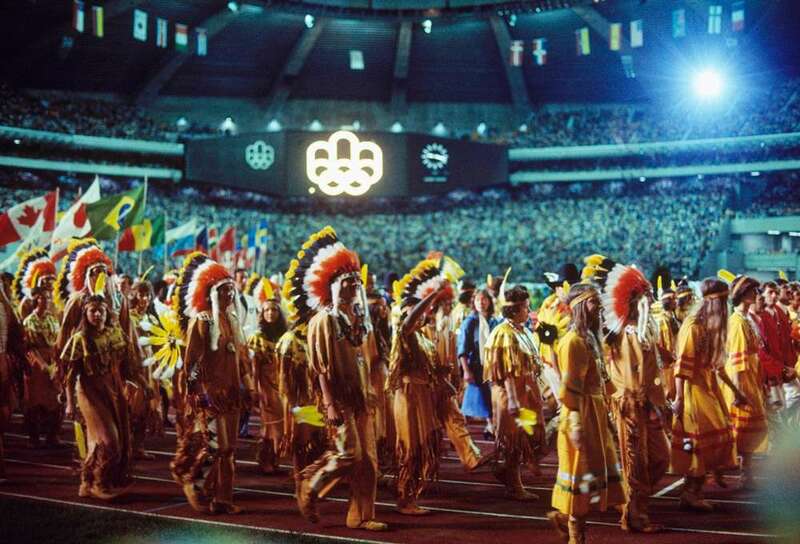 Janice Forsyth, an associate professor in the School of Kinesiology at Western University, said Montreal started modern day involvement of Indigenous people in the Olympic games. 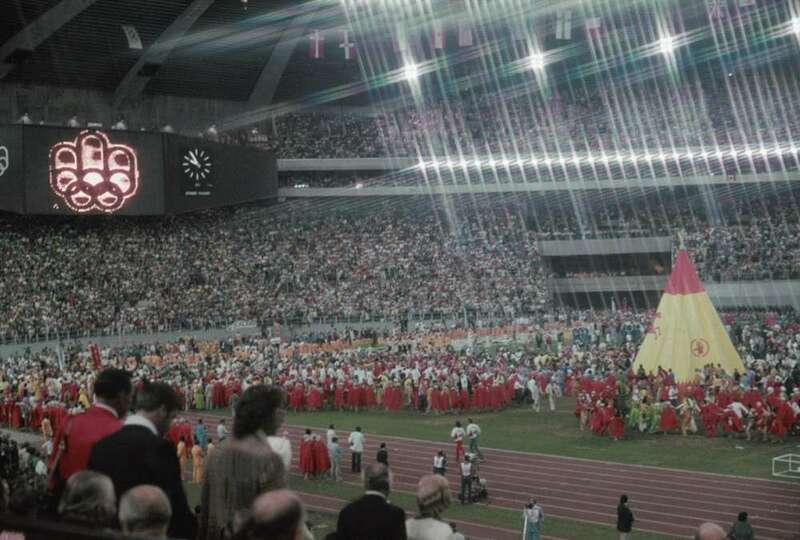 During the final performance, which can be viewed online on YouTube, the dancers marched in arrowhead formation as they entered the Olympic Stadium and paraded around the track. 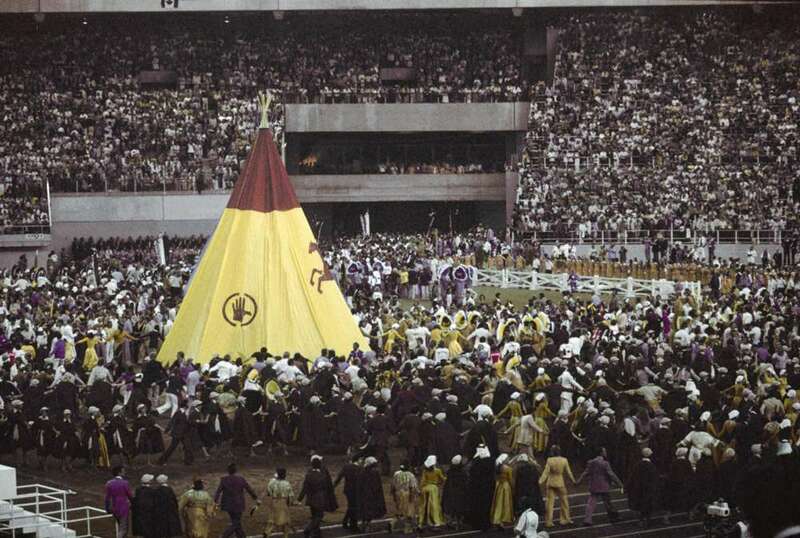 Five massive teepees were erected in the centre of the stadium. 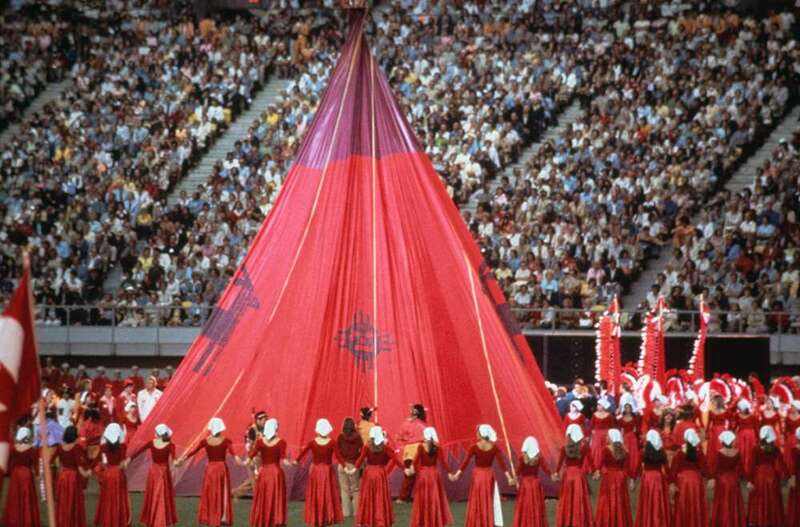 “Olympic organizers appropriated a multitude of popular Aboriginal images and arranged them in a vivid and dramatic display, complete with teepees, tom-toms, feathered headdresses, flags, and buckskin outfits – all color-coordinated to match the five colors of the Olympic rings,” Forsyth described the event in her 2002 academic paper Teepees and Tomahawks: Aboriginal Cultural Representation at the 1976 Olympic Games. The representation was far from perfect for many. Sedalia Fazio told The Eastern Door she had the opportunity to participate in the closing ceremony as a dancer, but refused. The late George Hill was also critical of the performance. “We want the people from all countries to see the Indians as they really are,” Hill was quoted in The New York Times that summer. 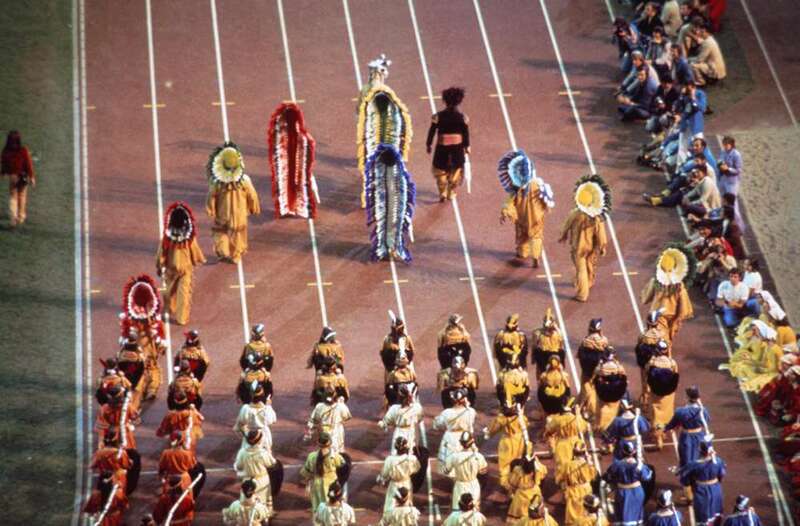 According to the report, approximately 250 of the dancers were non-Natives dressed and painted to look like Indians. Forsyth found similar information during her research. 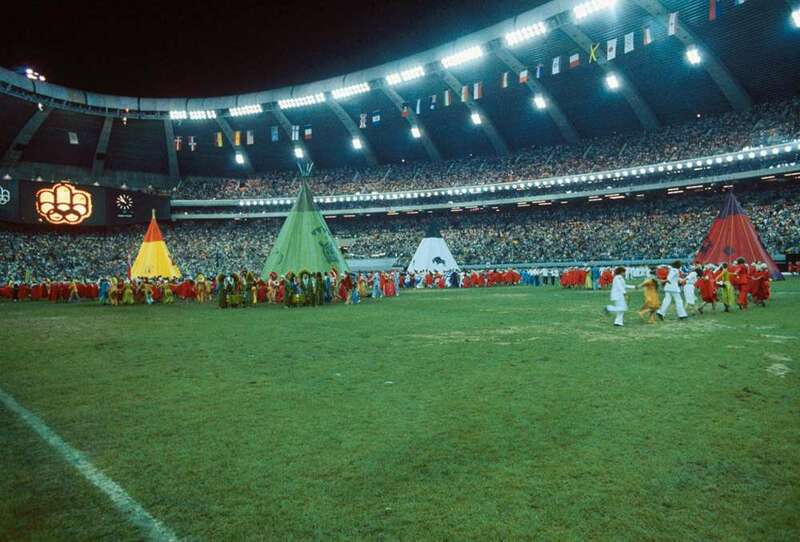 “Buried in a line somewhere in a report that was four volumes long, there’s a statement that says a dance troupe from Montreal was hired for the closing ceremonies and they were primarily non-Native,” said Forsyth, who is from the Fisher River Cree Nation. Despite the criticism, several Kahnawa’kehró:non participated in the ceremony. Those that spoke with Forsyth during her research said they were not too concerned about the misrepresentations of identity and culture. Rather, they saw it as an opportunity to have an international stage for their own political purposes. Andrew Delisle Sr. was the president of the Indians of Quebec at the time. Delisle helped mediate the problems, and was pleased with the end results. “We had a lot of people involved right across the country, and Indigenous people from across Quebec. 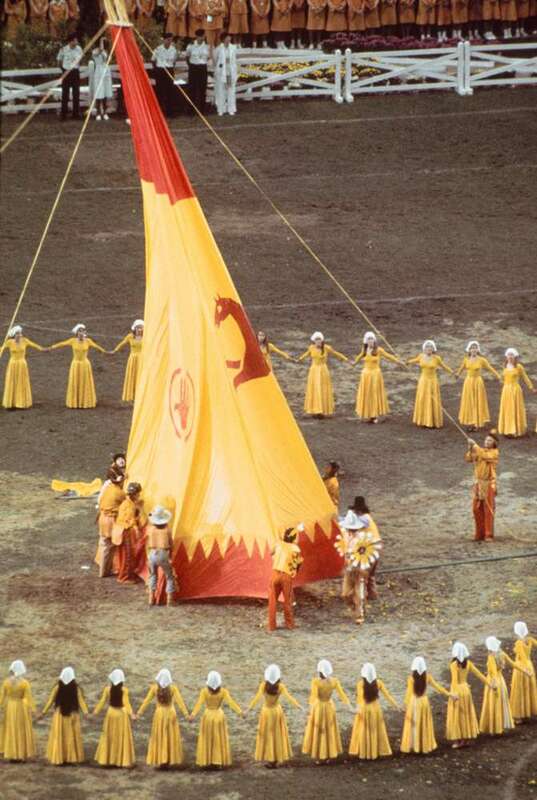 They participated in the whole ceremonies. It did a lot for us,” said Delisle. For sisters Kateri Deer and Norma Canoe, the experience was also pleasant. Deer, a longtime dancer, said she entered the arena representing the Montagnais (Innu) nation, along with four other community members. 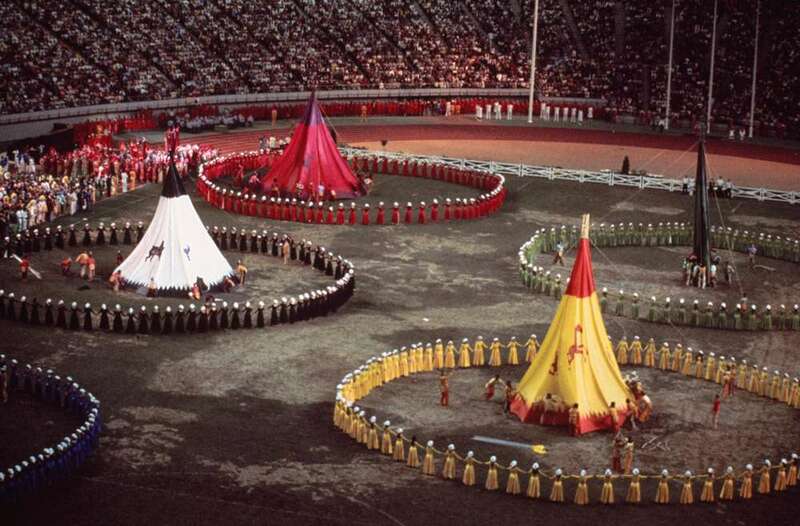 While Forsyth said a lot has changed since the ’76 games, there were still problems with Indigenous involvement in the Calgary and Vancouver winter games in 1988 and 2010. “Change doesn’t happen naturally. It’s not like things got naturally better; ’76 was a struggle, ’88 was a struggle, and 2010 was a struggle. There’s a problem with every major games,” said Forsyth.